Apples to apples? Or apples to rotting bananas? If you look closely, you may see that not all dog care facilities are alike when checking out doggy daycare, overnight dog boarding, and dog bathing options for your dog. In the past several years, dog owners have more choices than ever for doggy care. This is particularly true in the Iowa City, Coralville, North Liberty, and Tiffin areas. While some people don’t take a lot of time to examine their choices and base their decision on a single factor—such as location of the facility or price—more and more, people are willing to drive a little farther and pay a little more to find doggy care that is right for their dog. But when there are so many choices, how do you find that “right place”? As a way to narrow things down, I suggest starting by checking out each company’s web site and other social media. 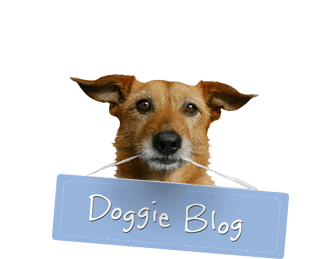 What message do these sites convey about the level of dog care they provide? Do photos look like dogs are having fun and carefully supervised? Check the business’s rating on the Better Business Bureau website. Also read other review sites, such as Yelp and Facebook. If you like what you see online, call a place or two and find out more. Is the person you talk to friendly and knowledgeable? Do they seem interested in learning more about your dog care needs? Do they seem professional? 1. Cleanliness—Use all your senses. Do you smell dirty dog in the air? Do the floors look clean, even in the corners? Are play areas and rest areas free of hair, dirt, and water? Is poop picked up? Is there clutter around or anything unsafe dogs could get into, like mop water buckets or cleaners? 2. Safety—Are all dog interactions supervised by qualified, trained employees? How are employees trained? How do they correct dogs? How do they stop dog fights? Do they separate dogs by size and temperament? How many employees per dog? Does the work environment look safe for the humans? 3. Employees—Are they sitting around on their cell phones or walking around engaging with the dogs? Do they seem knowledgeable about dogs? Are they interested in learning about you and your dog? As you watch them interact with dogs, do they seem aware of how to deal with different kinds of dogs—the crazy players, the shy dog, the overconfident female, etc? Are they nice to all the dogs? 4. Rest Places—Are there private kennels where dogs can take a nap and go for breaks between play sessions, uninterrupted? Despite what some people think, dogs cannot—and do not want to—play for 8 straight hours!! 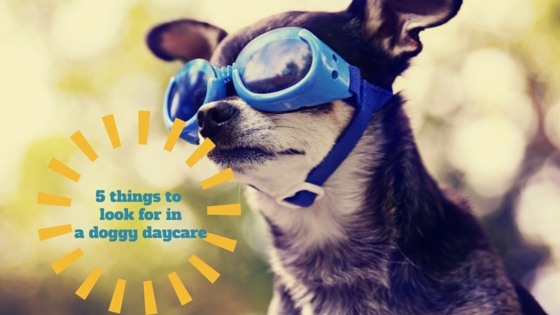 One of the reasons dog daycares can be successful is understanding that dogs do need breaks in socializing and play. This gives them time to rejuvenate physically and regroup mentally. 5. Play Space—Is it clean and free of mud and dirt? Is poop picked up? Are the surfaces made of something that will not hurt the dogs’ feet? Is the area too congested? Is it way too large? Are dogs being supervised or is it a free-for-all? How, and how often, do they sanitize these areas? Over the past several decades, our relationship with our pets has changed significantly. For many of us, our dogs are our children. We only want the best for them. At Just Dogs PlayCare, we have been hard at work since 2003 to provide that “best” dog care environment. I like how you suggested asking myself if the dog daycare that I’m considering has enough space for the dogs to play in, if there are things lying around that can hurt the dogs’ feet, and if the dogs are supervised. I was planning to go to my parents’ house for a week, and since my younger sister has allergy-induced asthma, I can’t bring my pet along for the trip. A doggie daycare is among the things that I’m considering, and now I have enough ideas on how to find the best one. Thank you.